Suppose on a network , someone using wireshark to sniff your packets then how you will confirm that there is a sniffer running on the network . 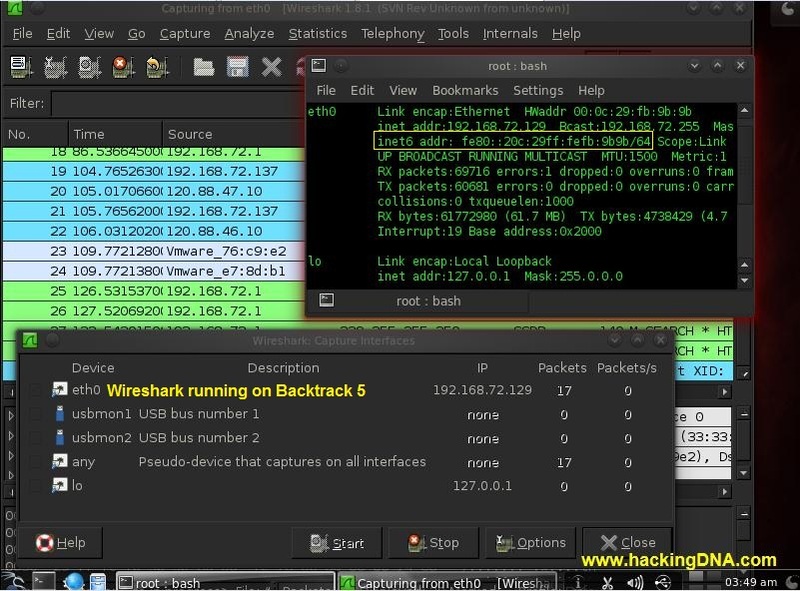 See below in our example wireshark is running on backtrack 5 whose internel ip version 6 address shown on the yellow rectangle . Now how you can save yourself from these type of sniffing . 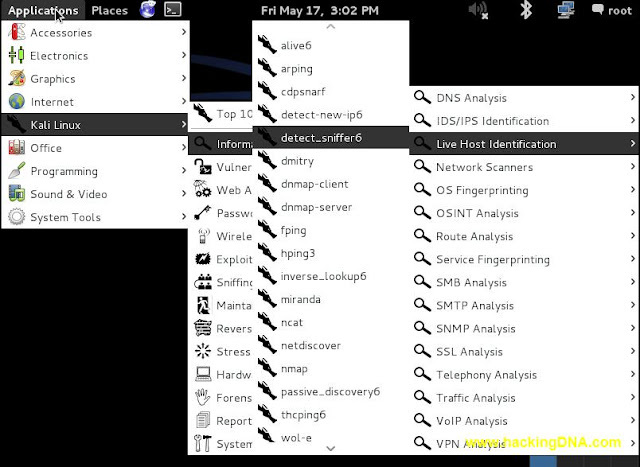 Simple answer , if you are using Kali Linux you can use the tool called as " detect_sniffer6 " which detect the sniffers running on the network . Example is shown on the below image . Below you can see the it detected that " 1 sniffing host is detected " . Hey don't upset if you don't know the ip6 address of the target machine . Use second option , no need to give target ip . This is how we can use this tool , hope you learn something new and now before joining any new network , you use this tool to detect network sniffer. Be creative , think creative and keep learning. This is really neat! As I'm in school about to complete it for Network Administrator, I find most of the tools on this site very useful. Silently, I've been following your work for nearly 8 months.. Keep up the good work my friend! Its great to know that you are following us from past 8 months . Thank you and keep following hackingDNA.com for more tutorials . Same lab i am running on my lab, but i am not able to detect wireshark. Even Wireshark is running on backtrack and also on Host windows computer.